Hi! Patagonia Hostel & Car Rental is a Hostelling International Hostel based in a home round the corner to the beach, clean and comfy ,to make a friendly ambient and help to share experiences and moments. Our Rent a Car and Bikes Co will provide you the way to enjoy your freedom, or we can help you find trips to do what you want here. BBQs Tuesday, Thursday and Saturday nigths to enjoy the Argentinian friendly lifestyle!! All our rooms have AC cold/warm, privates with safety box and Led TV. We understand that this may be is your only chance in life time to visit this area, and that's why we'll provide you with all the details to explore it as a local. Why to choose Hi! Patagonia Hostel ? Since 2007 Hi! Patagonia Hostel is just situated round the corner to the beaches in the comercial area of the town and most secure neighborhood of P.M. with everything close enough to enjoy your stay. Rooms: Double glass windows in our rooms to offer you weather and noise isolation . All springs mattresses, the best sheets, edredons (comforters), and pillows renewed to give you comfort and cleanliness trying to keep our standard. All our private room have 2mts long sommiers that can be used as single bed or king size with tv and the advertised as doubles in the booking engine includes fridge and water heater in room. Not been a party place we'll manage to spend funny nights apart from the ones that are sleeping to keep the respect to the others. The area is huge and once you are here there's more things to do than is known. Even the sunny weather allows you to enjoy outdoor activities much more than in all the other places of Patagonia or humed northern areas of the country . Puerto Madryn Area : Temperatures during this winter are in between 6 and 18 degrees and is always sunny so bring staff to be warm enough And enjoying the outdoor activities (hut gloves, and warm gear) specialy for boat/kayak trips. 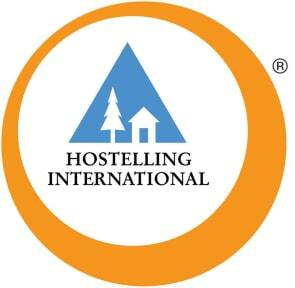 No hay disponibilidad para Hi Patagonia Hostel en las fechas seleccionadas. LA estancia fue genial, las habitaciones son muy amplias y las camas muy comodas, en todo momento el staff nos hizo sentir como en casa, siempre dispuestos a ayudar. Muchas gracias por todo, esperamos volver !! Excelente estadía en el hi patagonia!! El personal es muy agradable y cuenta con servicios como el desayuno o la limpieza de la habitación que te hacen pasar unos días comodo y relajado. Recomiendo!! Hostel claramente preparado para recibir extranjeros. Mucha diferencia con los visitantes nacionales. La atención dejó bastante que desear, mismo los servicios brindados que sin duda no fueron los mismos que con respecto al resto de los huéspedes. Ubicación, desayuno, limpieza y comodidad de la casa 10 puntos.